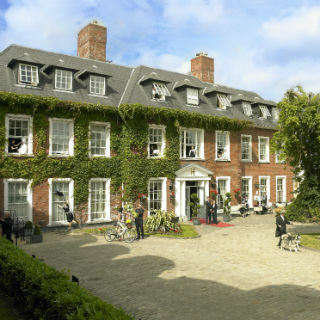 Enjoy a break away at Hayfield Manor, Cork’s premier 5 star manor hotel, restaurant and spa set within 2 acres of mature gardens, just one mile from Cork city centre. 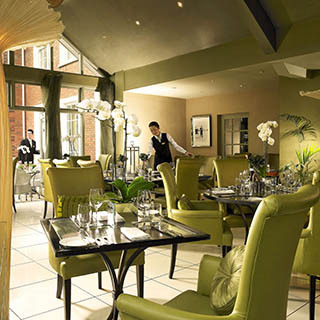 Hayfield Manor offers two distinct restaurants, both in style and cuisine – Orchids Restaurant and Perrotts Garden Bistro. 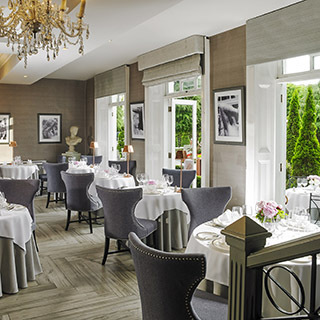 Orchids overlooks the beautiful private gardens, and is the premier choice for fine dining in Cork City, making any occasion special. 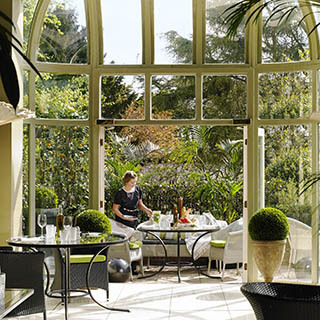 Perrotts Garden Bistro is located in the conservatory area of Hayfield Manor Hotel, and is the casual dining venue of choice for guests and locals alike for either lunch or dinner. Use this voucher on AllGifts.ie to make a booking for Hayfield Manor. 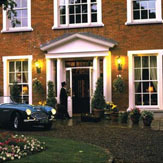 Or you can order a Hayfield Manor voucher and make a booking directly with the hotel at a later date. 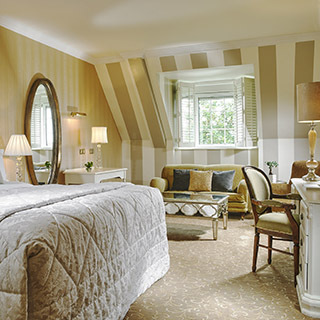 Hayfield Manor vouchers are posted out free of charge. On leaving the Airport grounds there is a roundabout in front of you. Take the first exit towards the City Centre - remember to drive on the left! As you descend towards the city you will see a major roundabout ahead called the Kinsale Road Roundabout. Just before this roundabout, take the exit sliproad to the left, joining onto the N40 West, following signs for West Cork/Killarney. Keep in right hand lane until you merge onto the N40. Please look out for the signs for the Doughcloyne/Wilton exit. On taking this exit it will bring you to a roundabout called the Sarsfield Road Roundabout (with traffic lights). Take the third exit, following signs for Wilton. You will see the Tesco and Wilton Shopping Centre on your left. After passing, you will come to another roundabout called the Wilton Roundabout. At this roundabout take the second exit, headed for the City Centre. Continue through one set of Pedestrian traffic lights, and at the next major junction (with Tesco Express in front of you on your right) take a right turn and continue straight up this road. You will come to a mini roundabout, take the first exit onto College Road. Continue on this road passing the Bons Secours Hospital and go straight through the next junction. Continue on past UCC and take a right turn up Perrott Avenue, just before the traffic lights. There is a signpost for Hayfield Manor here. We are located at the top of Perrott Avenue. Hayfield Manor combines grandeur and opulence with the comforts and facilities found only in the most modern establishments. 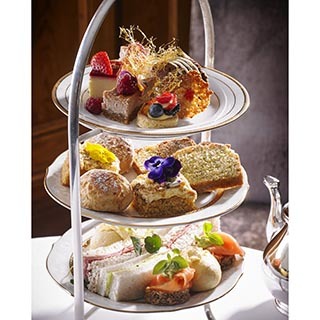 The hotels guests can expect the charm and character of an inviting manor house, while enjoying 5 star amenities in Cork's first 5 star hotel. 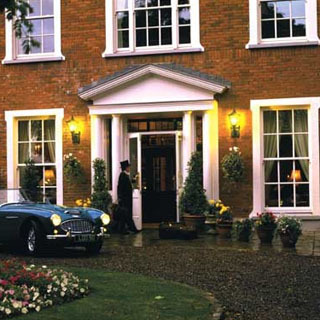 Hayfield Manor offers its guests an uncompromising level of service, personal yet efficient. 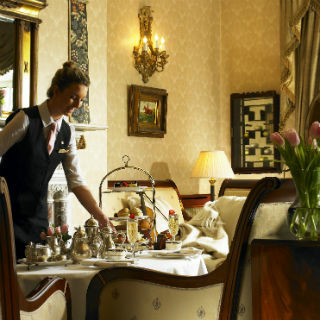 It has a very relaxing atmosphere and charm, popular with both residential guests and Corkonians alike. The hotels location is convenient to fine dining, shopping and entertainment venues. In Cork you are never too far from a golf course. Angling, tennis, equestrian and clay pigeon shooting also prove popular with our guests. Indulge in a trip to our exclusive Leisure Facilities, where residents of Hayfield Manor enjoy our wide range of private facilities including an outdoor Jacuzzi, Steam Room, Gym and Indoor heated pool.Against a background of soothing classical music guests can avail of beauty therapies to revitalise, workouts to invigorate, and massages to ease away the strains of modern living. We offer a wealth of dining options where you will experience unobtrusive service and spectacularly good food. Choose from the very best of local produce in our two diverse restaurant settings - Orchids restaurant and Perrotts. Vouchers are posted out free of charge.